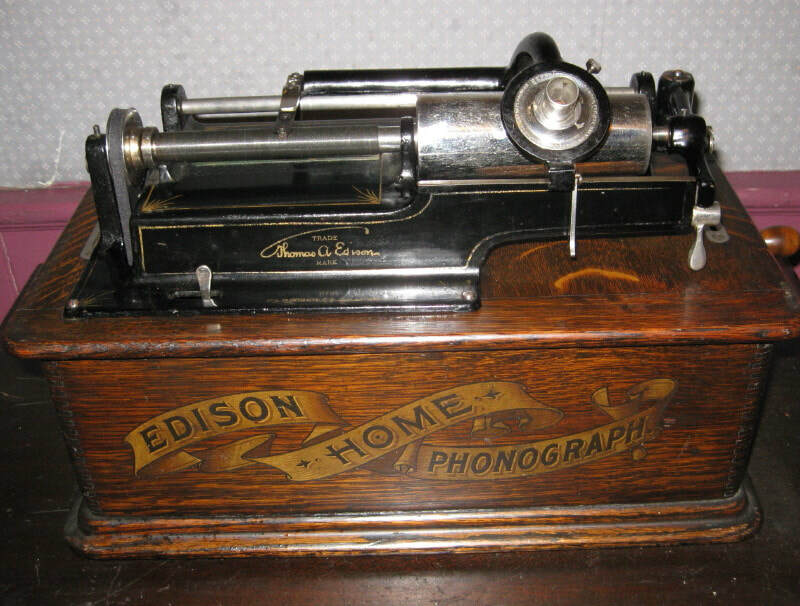 Excellent condition Edison Home Phonograph all ready to go for years of listening enjoyment! You just don't find them this nice with the lid and cabinet in such great condition! 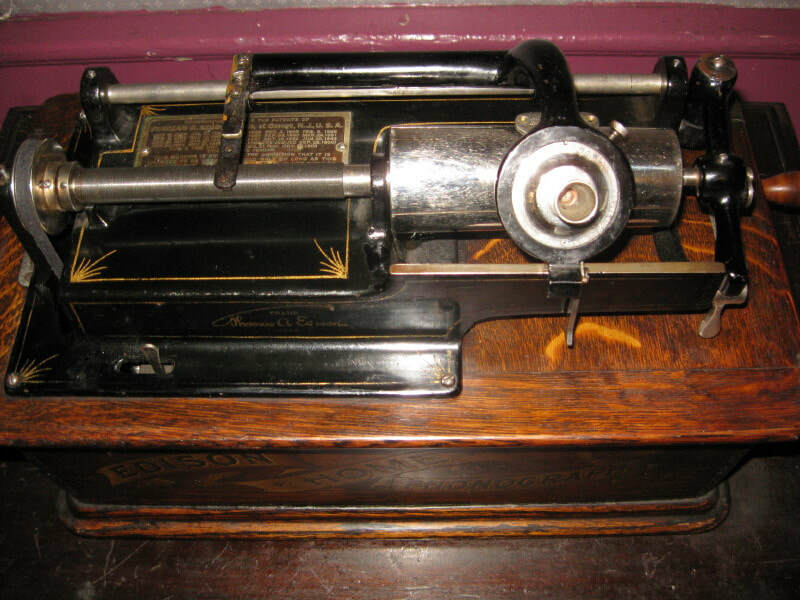 Good strong playing machine, rebuilt reproducer and plays the early 2 minute cylinders. Combine all that with a super quiet motor and this deal is hard to beat. 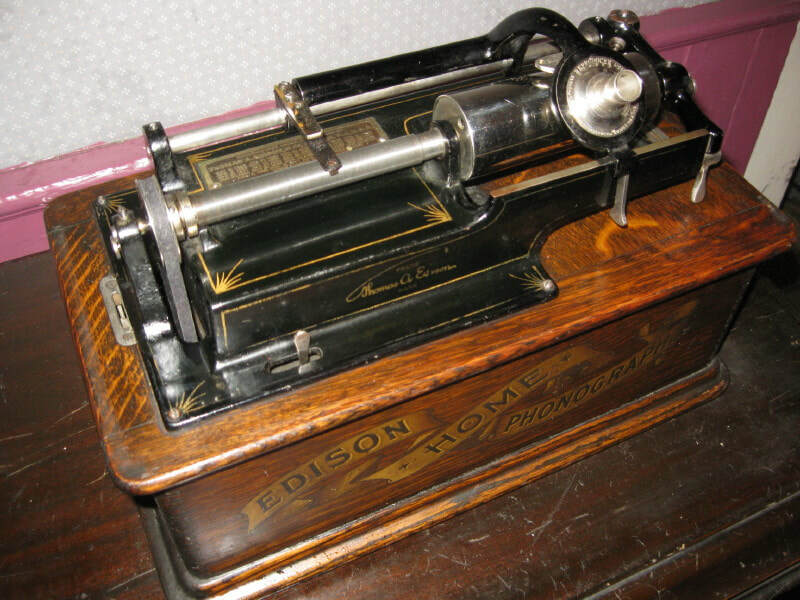 This comes with a reproduction 14" black and brass horn. Ask about an additional large horn with a floor stand if you are interested. 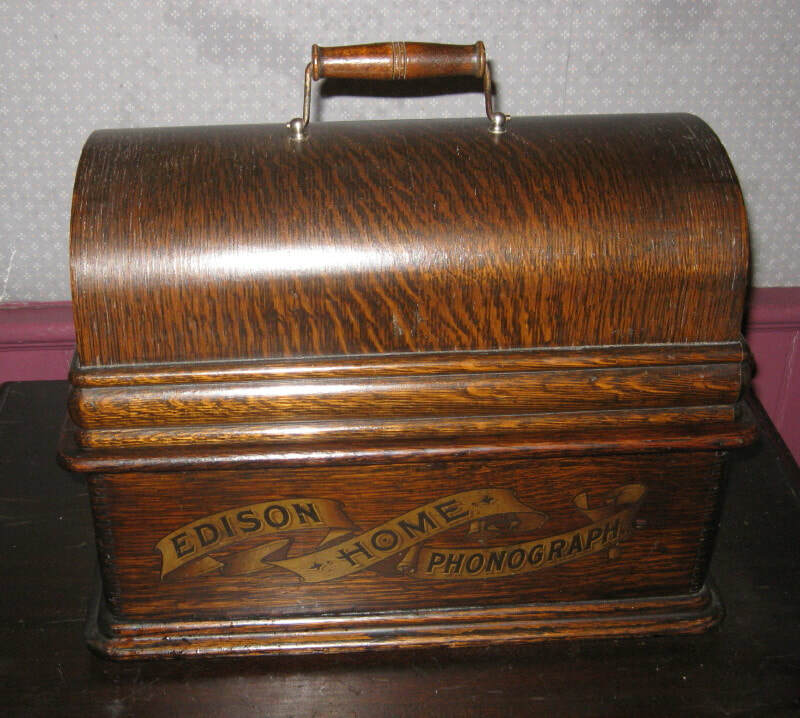 If you have any questions or are interested in purchasing this phonograph please give us a call at 802-748-4893 or 800-239-4188 or email us at victrola@victrolarepairservice.com. 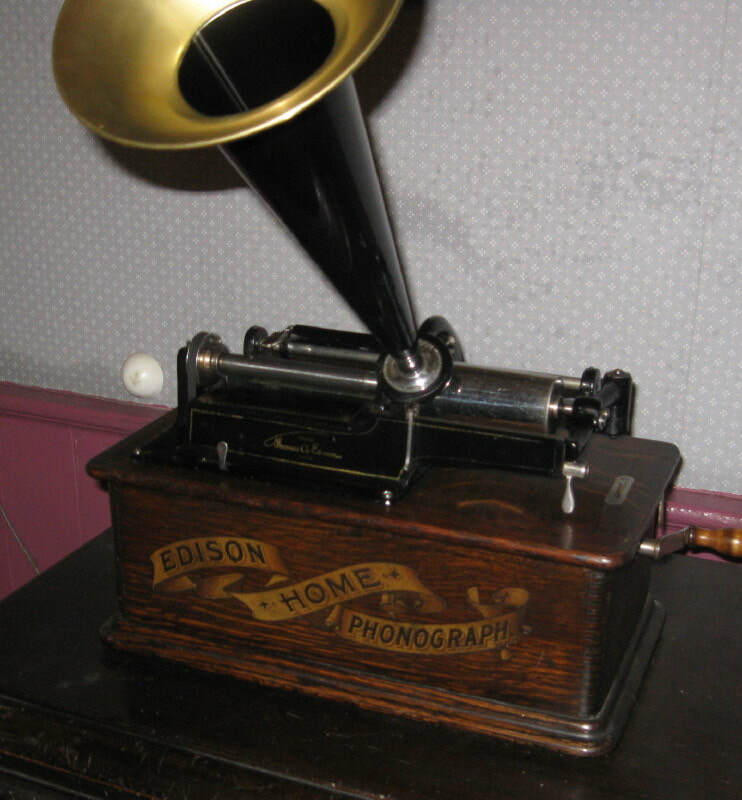 We would be happy to play it over the phone for you as well.